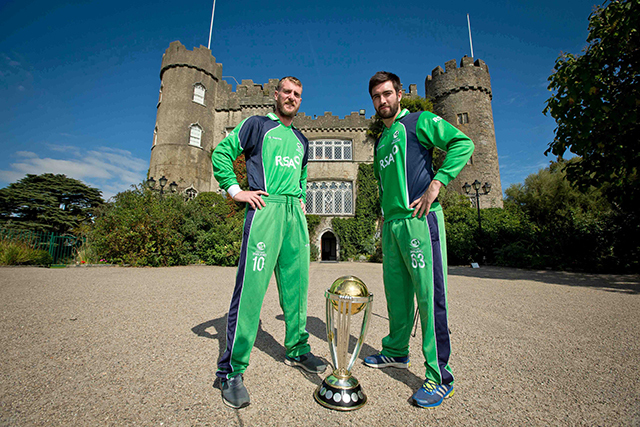 The ICC Cricket World Cup Trophy continued the Ireland leg of it’s round the world trip today, taking in the sights of Dublin. Check out the full gallery of #CWCTrophyTour photos HERE. The Trophy made a surprise visit to the enthusiastic and cricket-mad pupils of St. Andrew’s School where the children were delighted to get a close up glimpse of the trophy before it jets off to Afghanistan for it’s next visit. 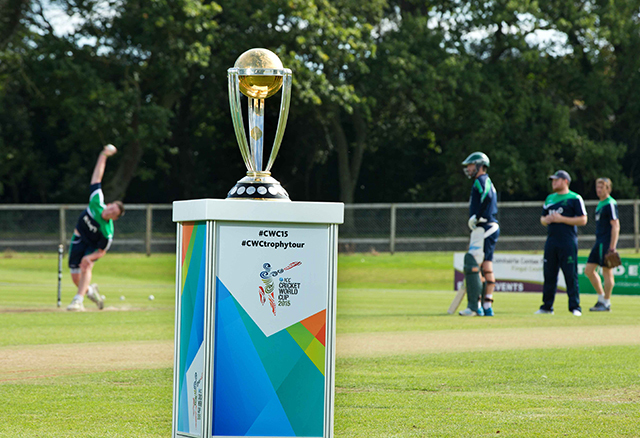 Next stop was Malahide where the trophy was on show at Ireland’s training session before their 2nd ODI against Scotland tomorrow, and Malahide Castle where John Mooney and Andrew Balbirnie proudly displayed the prize that Ireland will be battling for in Australia & New Zealand come February. 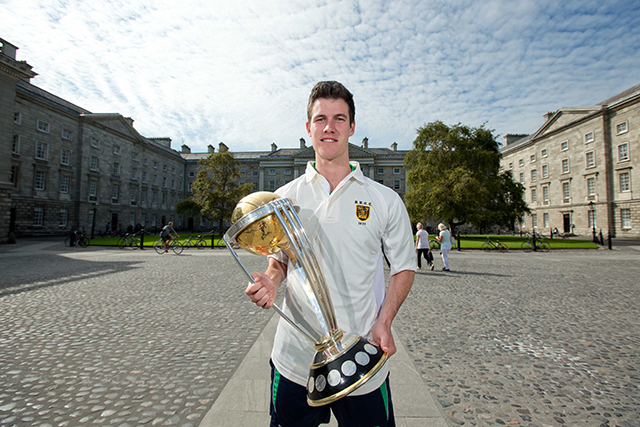 On to Dublin City Centre where George Dockrell got the opportunity to take the trophy to his University - the historic & world-famous Trinity College. George, Max Sorensen and yesterday’s hero with the ball Craig Young got a helping hand form Molly Malone and her wheelbarrow at the world renowned sculpture. And, passers by at the famous Ha’Penny Bridge were delighted to stop and get a picture with the iconic trophy. Fans will have an opportunity to get up close and have their picture taken with the biggest prize in the game at Malahide on Wednesday where the trophy will be on display for the duration of the match. 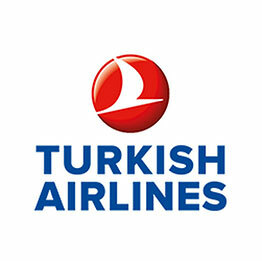 Tickets for that match are available by clicking here or at Ticket Master outlets nationwide.